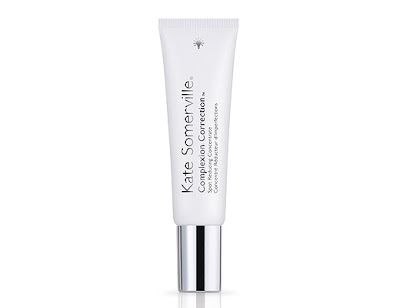 A new three-step skin care system from Kate Somerville is dedicated to clearing and evening skin tone is one of my favorite new ways to gorgeous skin! 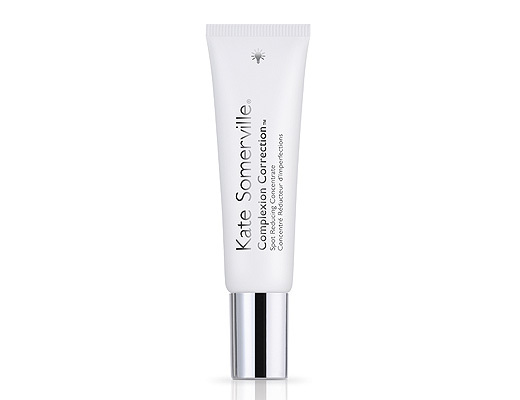 The three products in the Kate Sommerville Complexion Correction line are the Daily Treatment, the spot concentrate and the Overnight treatment. I absolutely loved how easy and gentle all the products in the line were to use, and even better, how effective they were at fading d iscolorations and making my skin glow! 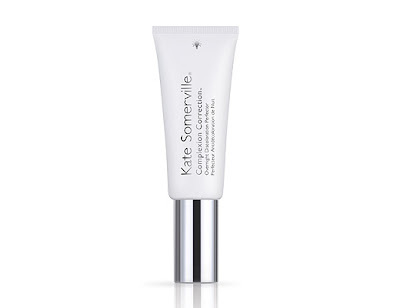 In the morning after cleansing I used the Daily treatment, just about two pumps of a lotion with a bit of a cream feel.The finish left a bit of a sheen, and it moisturized my skin well. Then I applied the spot concentrate of a few little areas on my face. In the evening, after cleansing, I applied the Overnight treatment, which has the same texture as the daily treatment and then I applied the spot treatment again. After just about a week I began to see a real difference in not only the texture of my skin, but how the areas with hyper-pigmentation were starting to blend more seamlessly with my skin tone. The line is made from gentle, exclusive lightening and anti-aging blends which include Alpha Arbutin and Lumiskin, Retinol as well as Aloe Leaf Extract which helps to sooth skin (the spot treatment is the only product in the line which is made with Hydroquinone). I continued using for several more weeks and I'm just thrilled with the results. *These products were provided courtesy of Kate Somerville PR for reviewing purposes. This product range sounds fantastic and the active ingredients used (ie. 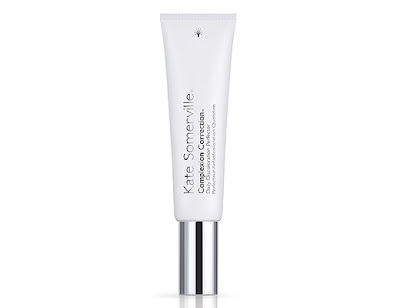 retinol, hydroquinone & arbutin) are extremely efficient in treating uneven skin tone. I know retinol and hydroquinone can be irritating on some skin types. Did you notice experience any skin sensitivities?